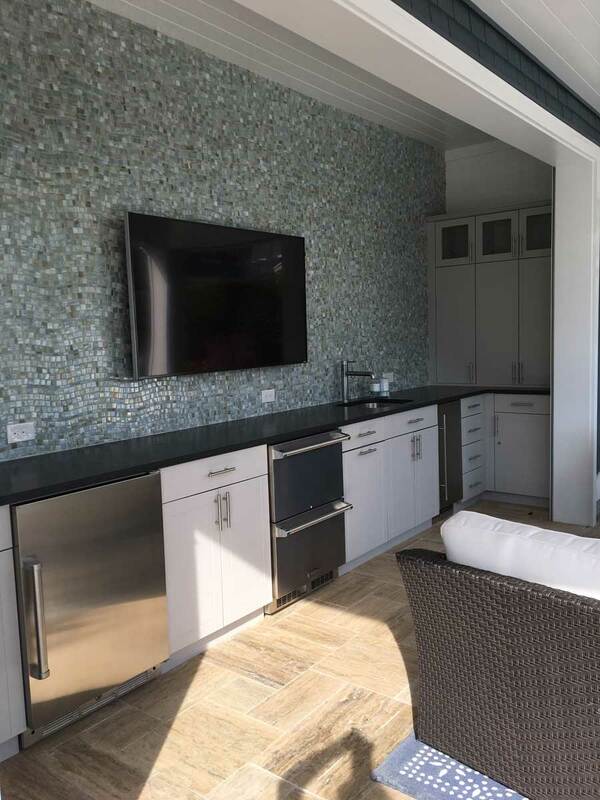 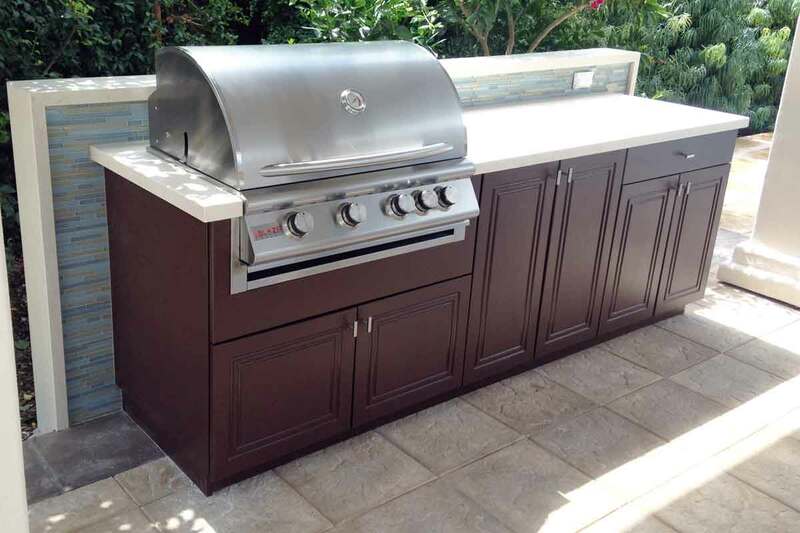 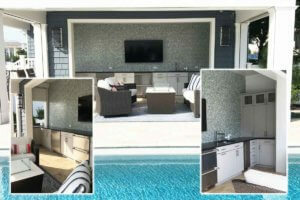 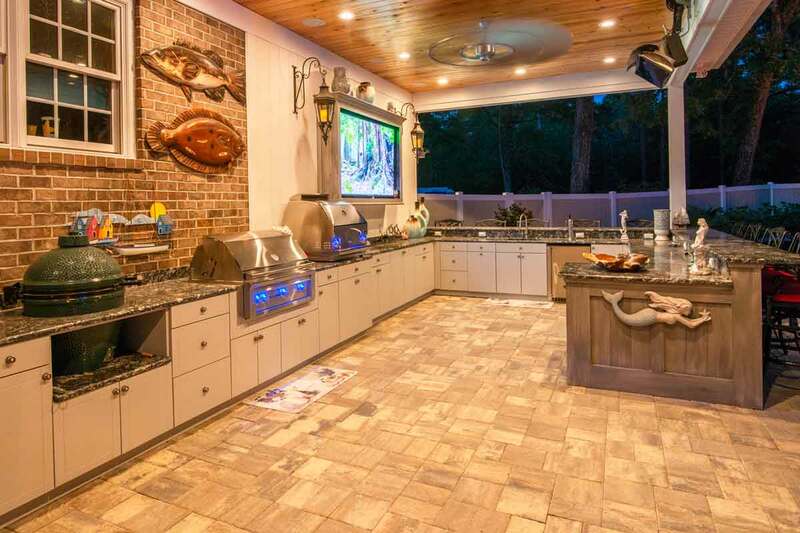 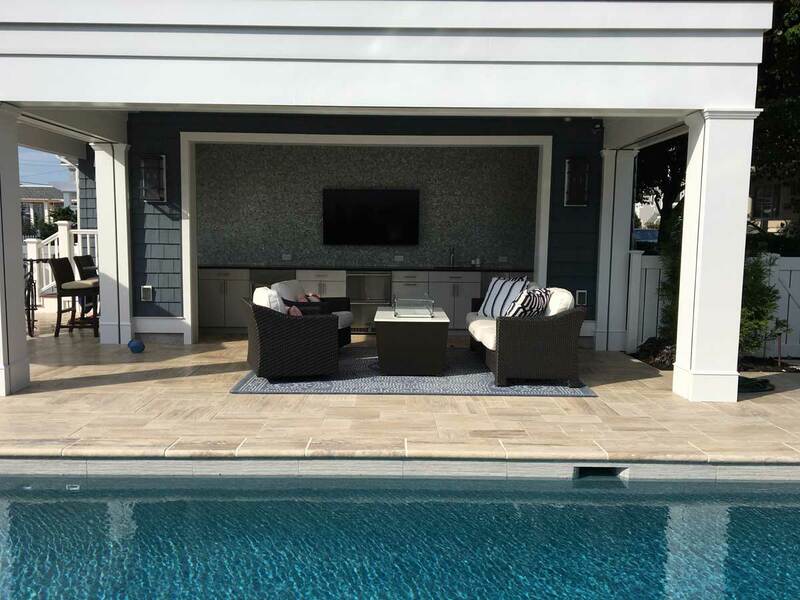 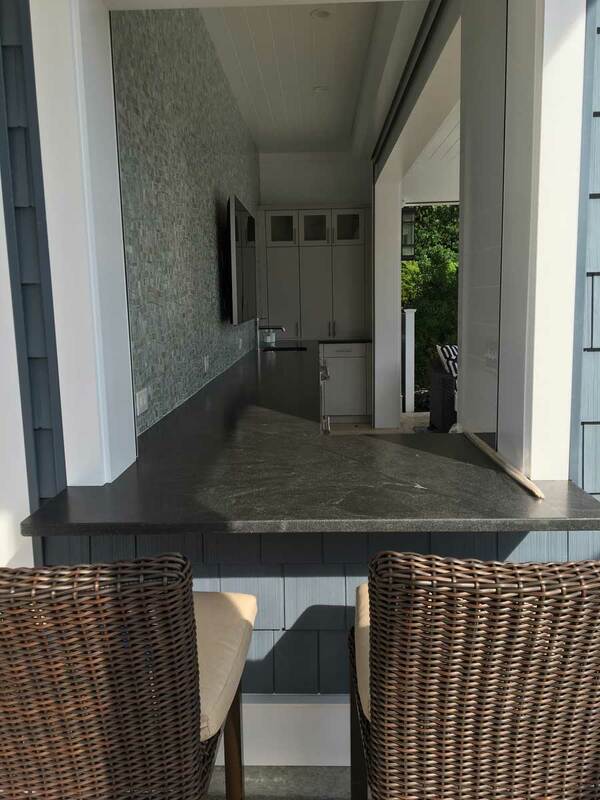 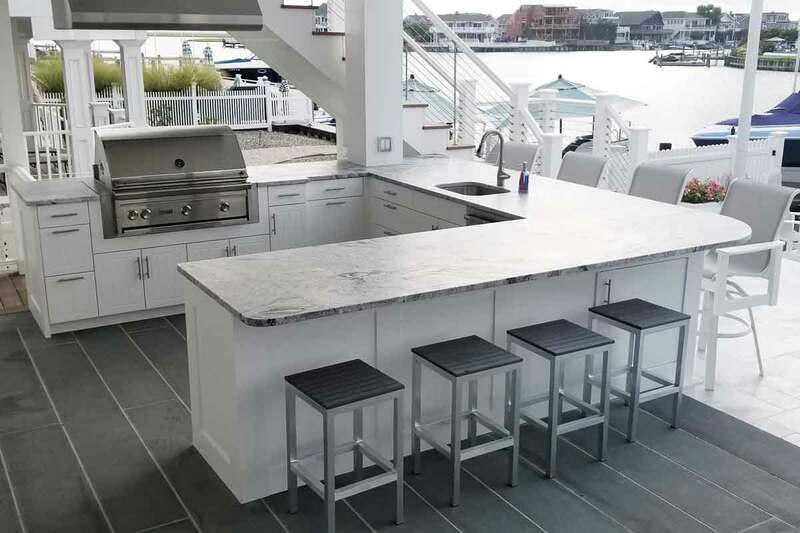 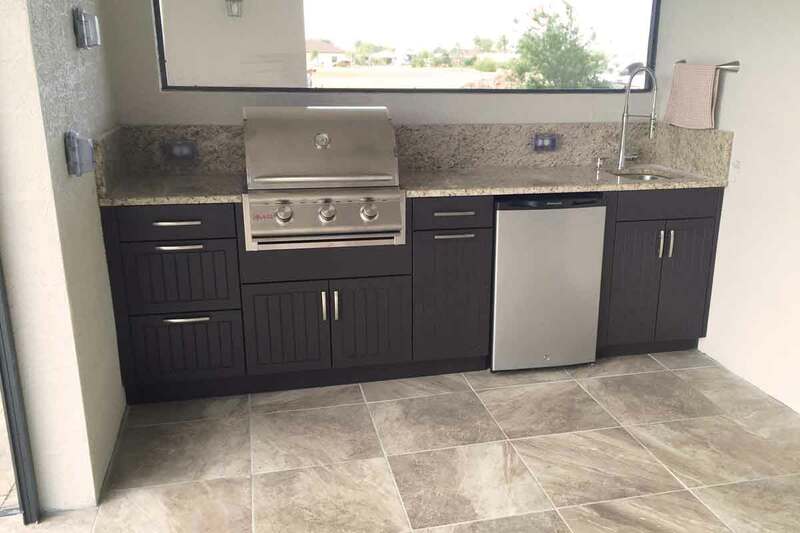 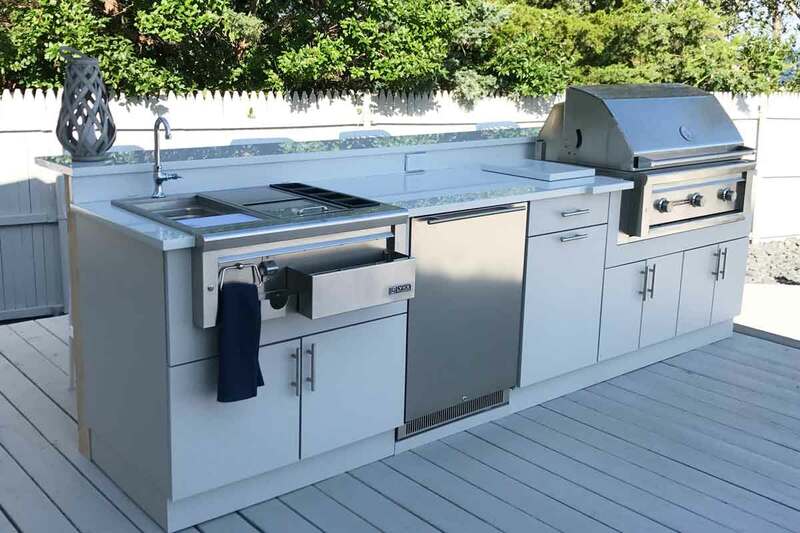 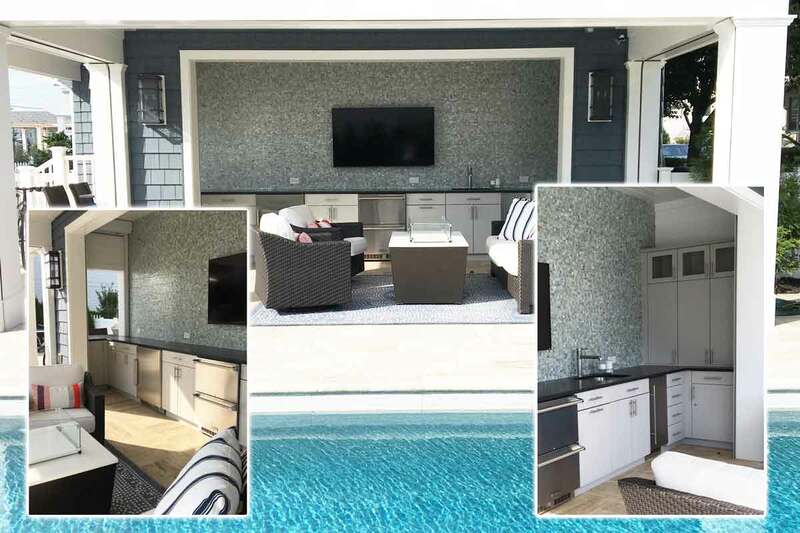 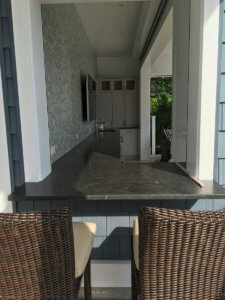 This entertaining area with outdoor kitchen was a fun design. 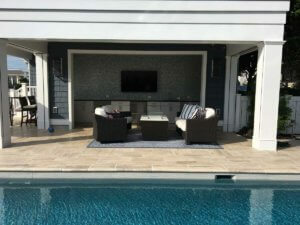 The customer had a very long and narrow area but wanted to maximize their storage on all three available walls. 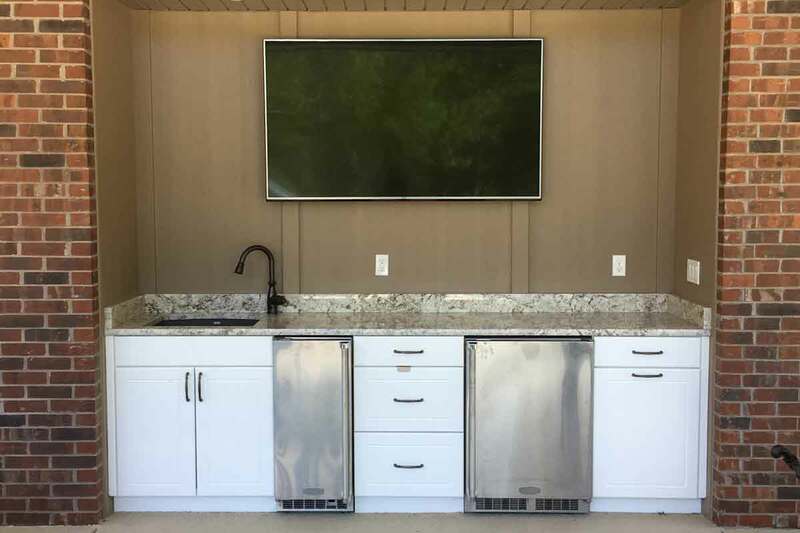 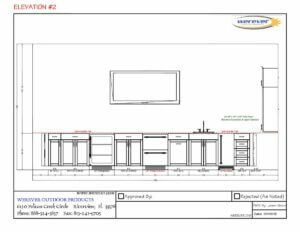 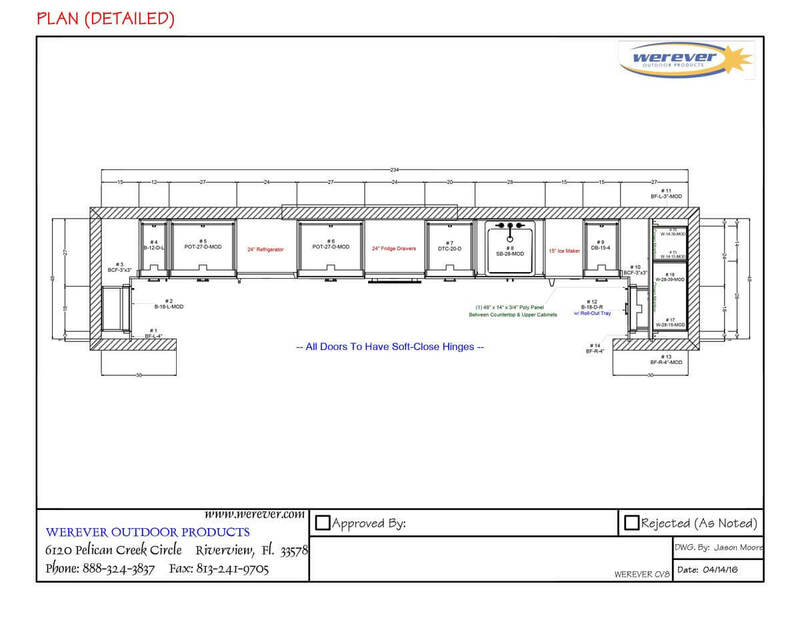 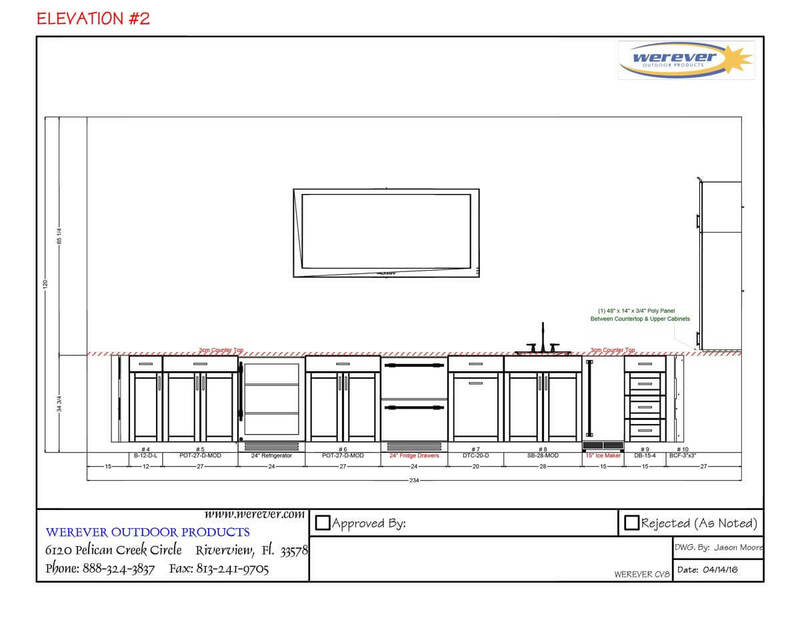 The left 4’-0” side was to be an open serving area, with the long 19’-6” wall being the location of their undercounter beverage refrigeration, refrigeration drawers, ice maker and sink. 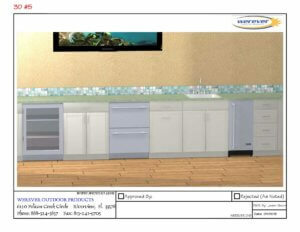 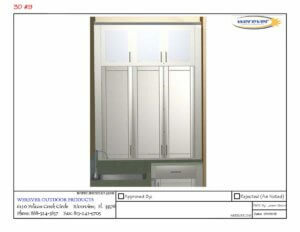 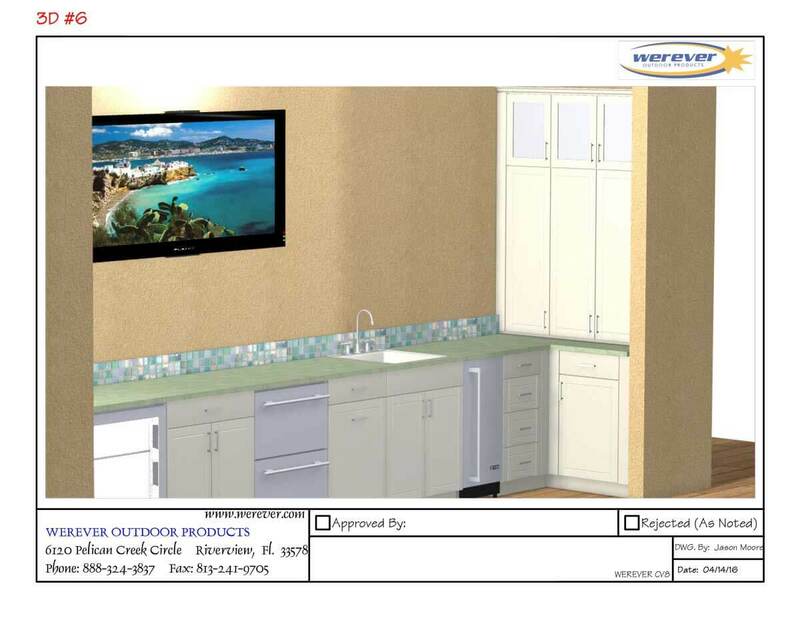 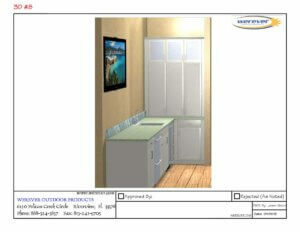 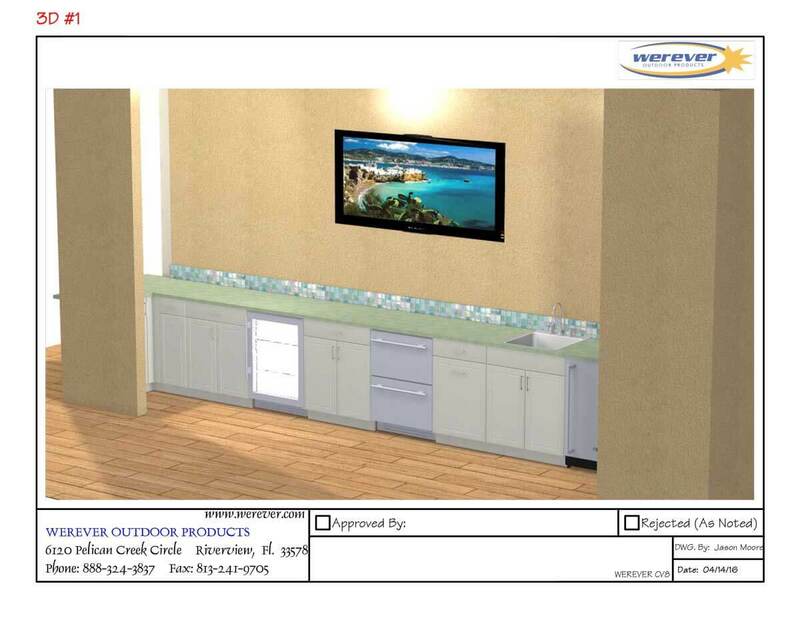 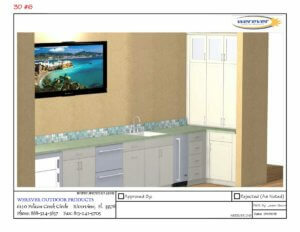 The appliances were spaced out with storage cabinetry located between them. 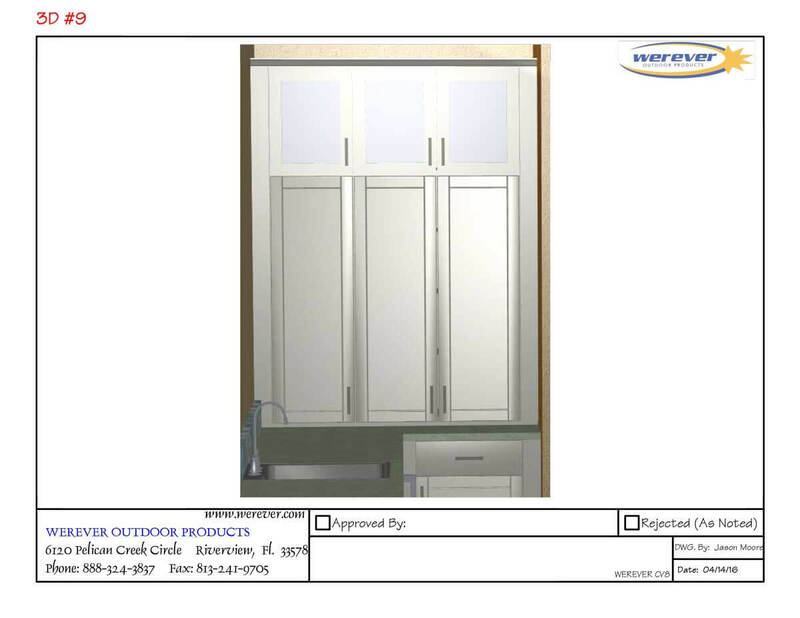 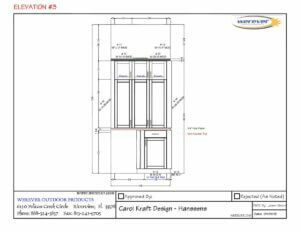 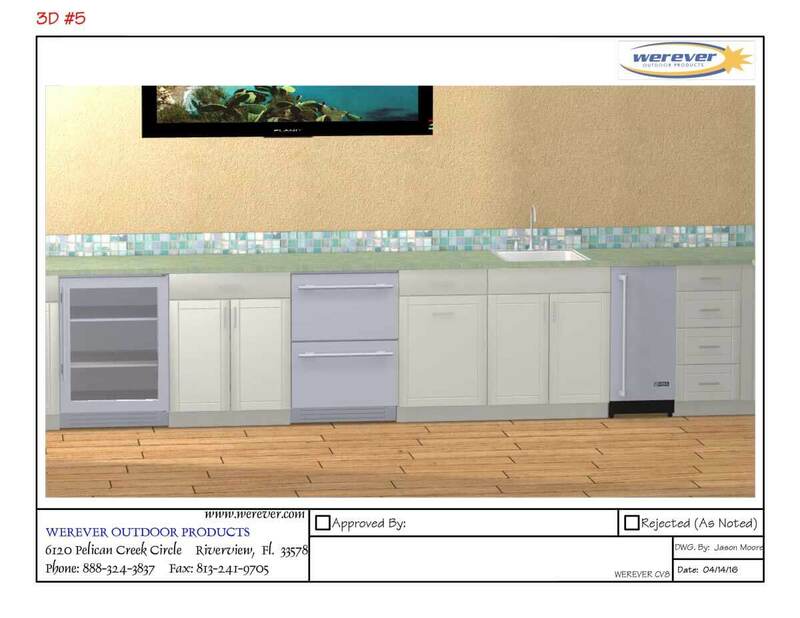 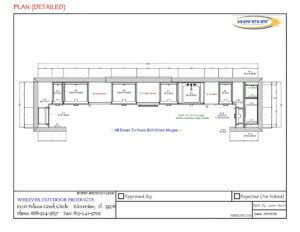 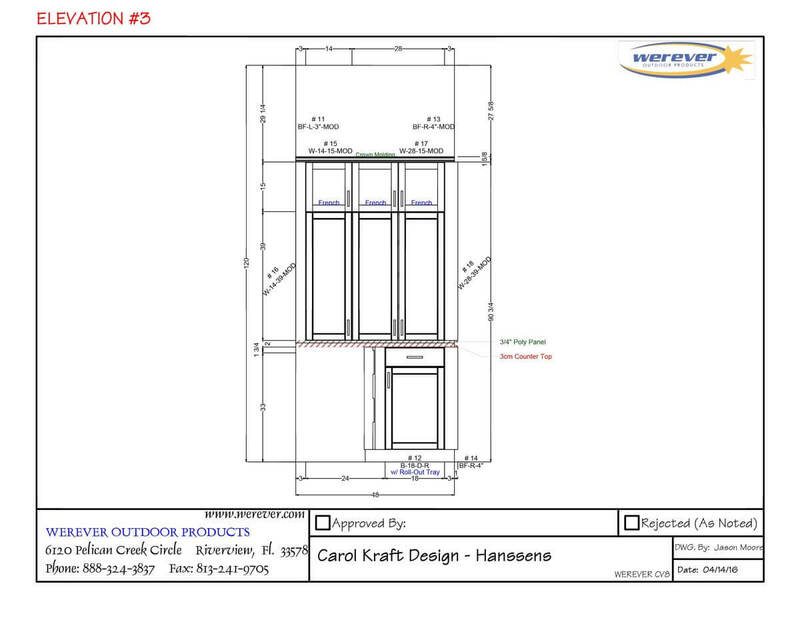 Giving the customer adjustable shelving, pull-out trays, a double pull-out trash cabinet and a 4-drawer base; plenty of storage options to accommodate any storage needs they might have. 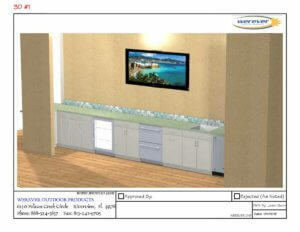 On the right 4’-0” side the customer had enough wall space to achieve some vertical storage for glasses and plates. Wall cabinets were added at the countertop level to maximize the space and we even added some small French door cabinets and crown molding to the top for a very stylish finish.